Photography has always been a passion for Maria. In additional to digital format photography, she is also educated in the art of developing black and white film. The experience enhanced her overall view of photography as an art. Not only does she approach photography from an artist’s perspective, understanding of the beauty of good composition, she is adept at manipulating the settings of her camera to achieve different desired effects. There is so much to photography besides pointing the camera and taking the picture. Before she even begins to take pictures, she has met or spoken with her client to get a feel for their interests and their style. She has taken into consideration the location of the session or ceremony and has visually mapped out the lighting and the setting. While she is working, her mind is at work creating visual compositions and she strives to incorporate completely unique photos and compositions in addition to the more traditional and journalistic styles of photography. 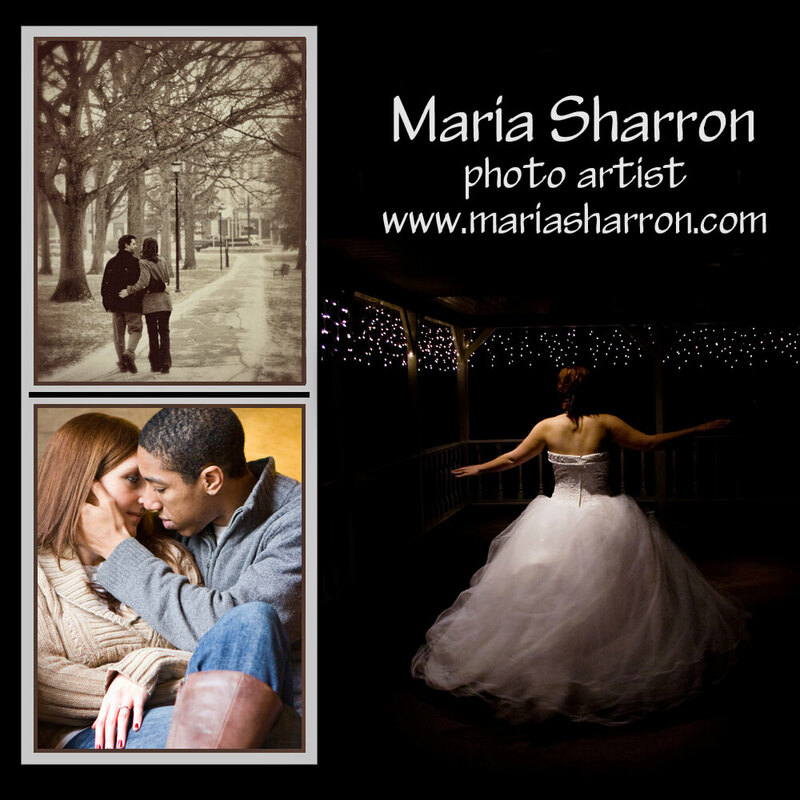 She considers her work a labor of love and the memories that she creates is as special to Maria as it is to her clients. Please take a moment to visit her website and view the galleries of her work.